Find events happening in the Henderson area and across the Las Vegas Valley. 1. Free Music: Local artists are set to perform for free from 8 to 11 a.m. July 29 and 30 at Elixir, 2920 N. Green Valley Parkway. Nick Mattera is scheduled to play July 29, while Shaun South is planned for July 30. Visit elixirlounge.net. 2. 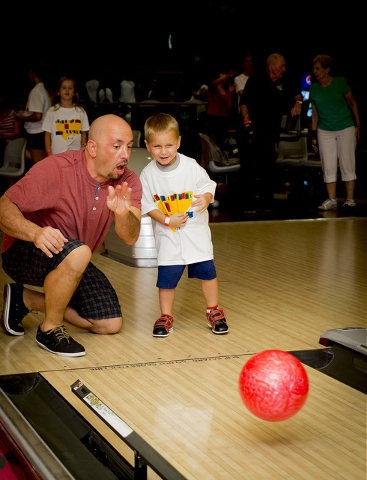 Bowl 4 The Kids: The annual fundraiser for the Cure 4 The Kids Foundation’s Charity Care Program is planned for July 30 at the Strike Zone Bowling Center at Sunset Station, 1301 W. Sunset Road. Bowlers get three games, a commemorative T-shirt, pizza and other treats, and special activities are planned for kids including face-painting, balloon animals by Tawney Bubbles and roving characters, along with a raffle, silent auction and bake sale. Registration is $25 and includes three games. Contact Becky Stephenson at 702-691-5716 or email bstephenson@cure4thekids.org, or register online at tinyurl.com/jk87p3y. 3. James Darren: The artist is slated to perform at 7:30 p.m. July 29 and 30 at the South Point, 9777 Las Vegas Blvd. South. Tickets start at $20. Call 702-796-7111 or visit southpointcasino.com. Henderson Resource and Career Fair: The Veteran Services Community Group, in partnership with Nevada State College, are planning the fair from 9 a.m. to noon Aug. on the collegee campus, 1125 Nevada State Drive. It is free and open to the public and is to include hiring agencies and companies with services and employment opportunities for veterans, people with disabilities and students in Henderson and Boulder City. Register at eventbrite.com/e/henderson-resouce-and-career-fair-tickets-26258966275. Walk-ins are also welcome. Smilin’ Bob: The band is slated to perform a free concert at 8 p.m. July 29 and 30 at the Troubadour Lounge inside the Jokers Wild Casino, 920 N. Boulder Highway. Call 702-564-8100. Junior Master Gardener: The University of Nevada Cooperative Extension plans to offer a final summer session from 8 to 11 a.m. Aug. 2 at the Lifelong Learning Center’s Outdoor Education Center, 8050 Paradise Road. The course, open to children 6 to 12, is slated to have hands-on activities to go over planting, watering and growing a variety of plants. The cost is $52. Call 702-257-5523. Free Concerts: A free concert series featuring a variety of talent is planned from 7 to 9 p.m. Fridays and Saturdays through Aug. 27 at The District at Green Valley Ranch, 2240 Village Walk Drive. Visit shopthedistrictgvr.com. Henderson Historical Society meeting: The society plans to meet from 9 a.m. to 12:30 p.m. July 29 at the Gibson Library, 100 W. Lake Mead Parkway. Call 702-596-4377. Friday Movie Series — Living it Up in July: A free screening of “London Has Fallen” is planned from 2 to 4 p.m. July 29 at the Green Valley Library, 2797 N. Green Valley Parkway. The film is rated R. Call 702-207-4260. Beginning Genealogy: Sam Giordano plans to present a free, hands-on learning process from noon to 4 p.m. July 30 at the Paseo Verde Library, 280 S. Green Valley Parkway, for beginners to research and use online resources such as Ancestry.com and FamilySearch.org. Call 702-492-7252. Youth volleyball: Registration for the city of Henderson program, which is slated to begin Sept. 6, is open through Aug. 18. Enrollment is $57 per player with sibling discounts available. Call 702-267-5717 or visit cityofhenderson.com. Pool fun at Green Valley Ranch Resort: The Backyard pool area at Green Valley Ranch Resort, 2300 Paseo Verde Parkway, plans to feature music from 7 to 10 p.m. the last Thursday of the month, with free admission for guests 21 or older. The property’s private pool, the Pond, is scheduled to host pool parties from 11 a.m. to 7 p.m. Wednesdays through Saturdays, and free acoustic live music is planned for 7 p.m. Fridays and Saturdays. Call 702-617-7744. Theatre Chaotica: The acting improv and character development workshops offered by Theatre in the Valley are planned from 5:30 to 7:30 p.m. Sundays at Theatre in the Valley, 10 Pacific Ave. The cost is $5. Call 702-642-1047 or visit tinyurl.com/theatrechaotica or theatreinthevalley.org. Speed Dating: Divine Events is set to host an all-ages speed dating event from 5 to 6:30 p.m. July 28 in the Divine Cafe at the Springs Preserve, 333 Valley View Blvd. Admission is $15, which includes one drink ticket. Visit tinyurl.com/flashdatelv. Civil War experience: Guests can try on Civil War uniforms and learn to march and drill in formation with input from historic re-enactments at 10 a.m. July 30 at Spring Mountain Ranch State Park, 6375 state Route 159, about 10 miles west of the 215 Beltway. Park admission is $7 per car for Nevada residents. Visit parks.nv.gov/parks/spring-mountain-ranch-state-park. Meet-and-greets with “Pawn Stars”: The events are scheduled from 1 to 3 p.m. Thursdays at the Gold & Silver Pawn Shop, 713 Las Vegas Blvd. South. Meet-and-greets featuring security guard Antwaun are scheduled from 11 a.m. to noon Saturdays and ones featuring historian Mark Hall-Patton are scheduled from 12:30 to 1:30 p.m. Saturdays and Sundays. Admission is free, but Gold & Silver Pawn is accepting donations for a variety of charities throughout the summer on Thursdays, including the Grant A Gift for Autism July 28 and the Shine Family Foundation (for veterans) Aug. 4. Visit gspawn.com or call 702-385-7912. Red Rock Canyon children’s program: The Red Rock Canyon Interpretive Association is putting together a seasonlong children’s program series focused on the natural history of Red Rock Canyon called The Canyon Club. On select Tuesdays throughout the summer, children 6 to 8 are invited to explore topics with hands-on activities, games and crafts. Programs start in the morning and last roughly 90 minutes. Dates include Aug. 2, 9 and 16. Registration is required (participants can sign up for multiple dates). Visit RedRockCanyonLV.org or call 702-515-5367. Hot yoga in the Neon Boneyard: The Neon Museum plans to offer one-hour hot yoga sessions with certified instructor Eileen Lorraine in its outdoor Neon Boneyard, 770 Las Vegas Blvd. North, at 5:30 p.m. Aug. 3, 17 and 31. The class is appropriate for beginners to advanced yogis 18 or older (children must be accompanied by an adult guardian) and will consist of flowing vinyasa sessions set to vintage Las Vegas-inspired beats. Sessions are $18 for the public and $13 for museum members. Visit neonmuseum.org/happenings or call 702-387-6366. “Martin Kreloff/A Retrospective”: The free exhibit is set to be on display during regular library hours through Aug. 6 in The Studio at the Sahara West Library, 9600 W. Sahara Ave., featuring pop art-influenced paintings, drawings and new media works. Experience Kreloff’s 50-year journey as an artist and the many celebrities he’s met and painted. Call 702-507-6222. Aniyah Simone: The singer is slated to perform at 7:30 p.m. Aug. 4 at the South Point, 9777 Las Vegas Blvd. South. Tickets cost $20. Call 702-796-7111 or visit southpointcasino.com. Gardening in Small Places: The University of Nevada Cooperative Extension is scheduled to host a seminar on tree selection and care at 8 a.m. Aug. 20 at the Lifelong Learning Center, 8050 Paradise Road. Laura Eisenberg, formerly with the Nevada Division of Forestry, is expected to give tips. Space is limited to 25 people. Call 702-257-5573. Back to School: A variety of fairs to get students ready for the new school year are expected to take place at Galleria at Sunset mall, 1300 W. Sunset Road. Cox Communication’s back-to-school fair, which features 30 community agencies and organizations, is slated from 10 a.m. to 4 p.m. Aug. 6. A fashion show featuring clothes from various retailers is scheduled at 1, 3 and 5 p.m. Aug. 13. The 20th annual Back-to-School event is scheduled from 11 a.m. to 3 p.m. Aug. 20. The mall is expected to launch Operation School Bell, which is a partnership with Hot 97.5 and the Assistance League and provides a school supply drive. From Aug 1-19, people can also enter to win a $500 shopping spree. Visit galleriaatsunset.com. “Icons of Rock”: A tribute to legends such as Elvis Presley, Johnny Cash and Jerry Lee Lewis is scheduled for 7 p.m. Aug. 6 at the M Resort, 12300 Las Vegas Blvd. South. Tickets start at $30. Visit themresort.com. Silent Savasana: Poolside yoga done while wearing headphones is planned for 8 a.m. Aug. 14 and Sept. 11 at Green Valley Ranch Resort, 2300 Paseo Verde Parkway. Call 702-617-7744. Outdoor movie nights: The event is slated to return at 7:30 p.m. Aug. 20 at the District at Green Valley Ranch, 2240 Village Walk Drive. Guests can watch movies on the grassy area behind Whole Foods. “Zootopia” is planned for the first movie. The schedule includes “Minions,” Aug. 27; “Star Wars: The Force Awakens,” Sept. 3; “Dirty Dancing,” Sept. 10; “Inside Out,” Sept. 17; and “Ferris Bueller’s Day Off,” Sept. 24. Visit shopthedistrictgvr.com. Wellness series: Dignity Health and Inspirada are partnering to bring the community information on a variety of health-related topics at the Toll Brothers Clubhouse, 3190 Mantua Village Ave. A lecture on back-to-school lunches and tips to make them more nutritious is scheduled at 6 p.m. Aug. 24. The Stanford School of Medicine’s Chronic Disease Self-Management program is planning a six-week series from 6 to 8:30 p.m. Sept. 21 through Oct. 26. A lecture on diabetes is scheduled at 6 p.m. Nov. 16. Visit inspirada.com. Strikes and Scholarships: The Epicurean Charitable Foundation is slated to host its third annual fundraiser from 9 a.m. to noon Aug. 28 at the South Point, 9777 Las Vegas Blvd. South. The bowling tournament costs $35 for individuals and $125 for team. Call 702-932-5098 or visit ecflv.org. 38 Special: The band is slated to join the Marshall Tucker Band at 7 p.m. Sept. 9 at Sunset Station, 1301 W. Sunset Road. Tickets start at $20. Visit sclv.com/concerts. Pacific Island Festival: The two-day event celebrating Hawaiian and Pacific Island culture is scheduled from 10 a.m. to 8 p.m. Sept. 10 and 10 a.m. to 6 p.m. Sept. 11 at the Henderson Events Plaza, 200 S. Water St. Guests can expect food, crafts and entertainment throughout the festival. Admission is free. Visit cityofhenderson.com. Super Run Classic Car Show: The event featuring a variety of vintage cars is slated to return to the city of Henderson Sept. 22-25, kicking off at noon Sept. 22 at the Fiesta Henderson, 777 W. Lake Mead Parkway. The show is expected to transfer to the Water Street area Sept. 23-25. In addition to the various car shows, entertainment and food vendors are planned throughout. Visit cityofhenderson.com. Peter Cetera: The singer and former member of Chicago is slated to perform at 8 p.m. Sept. 16 at Sunset Station, 1301 W. Sunset Road. Cetera is known for songs such as “Glory of Love,” which was used as the theme song for the movie “The Karate Kid, Part II.” Tickets start at $25. Call 702-547-7777 or visit sunsetstation.sclv.com. Casting Crowns: The award-winning musical group is scheduled to perform at 6:30 p.m. Sept. 25 at the Henderson Pavilion, 200 S. Green Valley Parkway. Tickets start at $25. Call 702-267-4849 or visit cityofhenderson.com. National Night Out: The city of Henderson is seeking businesses, civic groups and nonprofits to be exhibits at the upcoming event, which is scheduled from 11 a.m. to 3 p.m. Oct. 15 at the Galleria at Sunset mall, 1300 W. Sunset Road. The annual event is designed to raise awareness about safety issue and allow people to connect with their local police and fire departments. Call 702-267-2222. Life of the Party: Kidz Bop Kids is slated to make a stop in Las Vegas at 5 p.m. Oct. 22 at the Henderson Pavilion, 200 S. Green Valley Parkway. The event includes the biggest performances of the biggest radio songs of the year. Tickets start at $27.50. Call 702-267-4849. Golden Gala: St. Jude’s Ranch is slated to host its 50th anniversary gala from 6:30 to 11 p.m. Nov. 4 at Green Valley Ranch Resort, 2300 Paseo Verde Parkway. Tickets are $150. Call 702-294-7168. Elks meetings: The Benevolent and Protective Order of Elks, founded 150 years ago, is an organization of adults seeking to engage in charitable work at the local and national levels. Membership is open to men and women. Meetings are planned for 7 p.m. the first and third Thursday of the month except for July and August. Call the Henderson/Green Valley Lodge 2802, 631 E. Lake Mead Parkway, at 702-565-9959 or visit tinyurl.com/elksgv. 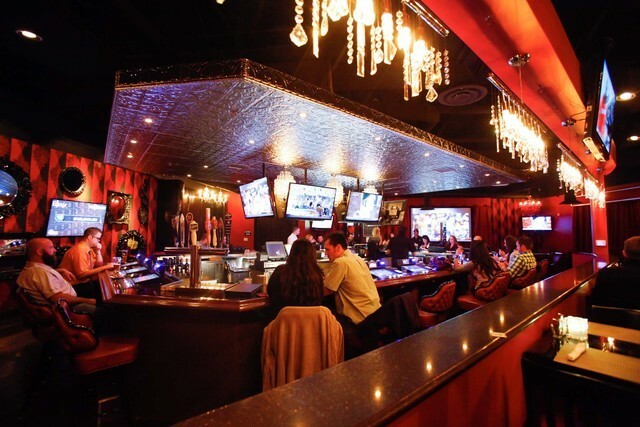 Las Vegas Wedding Chamber of Commerce Monthly Happy Hour: The event is planned from 5:30 to 7:30 p.m. the first Tuesday of the month and invites wedding industry professionals to join. Visit lvweddingchamber.com. Vino With A View: This free wine event is hosted from 3 to 6 p.m. Wednesdays at Ascaya, 1 Ascaya Blvd. The event allows people to meet real estate professionals from the community. Visit ascaya.com. Family Game Day: Family fun is planned at the event from 4 to 5 p.m. monthly on the fourth Saturday at the Green Valley Library, 2797 N. Green Valley Parkway. Visit hendersonlibraries.com. Zumba: The University of Nevada Cooperative Extension is offering free classes at 5:30 p.m. every Tuesday and Thursday at 8050 Paradise Road. Call 702-397-2604. Nashville Unplugged Hall Of Fame Series: Performances for the country music series are scheduled for 8 p.m. monthly on the second Thursday at Club Madrid inside Sunset Station, 1301 W. Sunset Road. The cost is $10, and Boarding Pass card members receive a $5 discount. Attendees must be 21 or older. Visit sclv.com/concerts or nashvilleunplugged.net. Yellow Brick Road: The classic rock tribute band is set to perform at 10 p.m. Fridays at Club Madrid inside Sunset Station, 1301 W. Sunset Road. The cost is $5, and guests must be 21 or older. Visit sunsetstation.sclv.com. Desert Newcomers Club: This nondenominational social club for women who are new to the Las Vegas/Henderson area is set to meet the third Wednesday of every month. Coffee meetings are planned at 10 a.m. the last Thursday of the month at the Green Valley Methodist Church, 2200 Robindale Road. Visit desertnewcomersclub.org. Open mic nights: Kelly Clinton is scheduled to host the dinner shows from 9 to 11:55 p.m. Mondays at the Bootlegger Italian Bistro, 7700 Las Vegas Blvd. South. The events will feature little-known and established entertainers. Reservations are suggested. Visit bootleggerlasvegas.com. Harp music: Mariano Gonzalez is scheduled to perform on the harp from 5:30 to 9:30 p.m. Wednesdays and 11 a.m. to 3 p.m. Sundays in the main dining room at the Bootlegger Italian Bistro, 7700 Las Vegas Blvd. South. Visit bootleggerlasvegas.com or call 702-736-4939.